Tucked away in one of Licata's bustling streets is Ristorante La Madia, a true gastronomic treasure. Here diners can expect Sicilian classics reinvented with simplicity and creativity by chef Pino Cuttaia who draws on the fantastic flavours and local ingredients of his native region. Opening in 2000, it wasn’t long before Sicilian Ristorante La Madia and its head chef Pino Cuttaia were awarded the first of now two Michelin stars. Hidden away in one of Licata’s bustling, narrow streets, Ristorante La Madia really lives up to its name – madia meaning a big cupboard bursting with gastronomic treasures. Indeed, the restaurant has today become one of the most precious culinary treasures of Sicily. Inspired by the flavours and tastes of his childhood, Pino has created a menu respectful of the seasons using only the best local ingredients available. 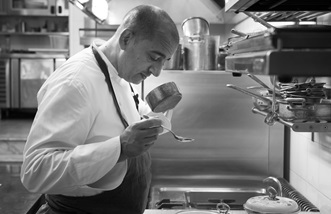 He and his wife Loredana deliver classic Sicilian dishes with their own unique, creative flair. In fact, creativity and simplicity are the mantra of Ristorante La Madia, with modern culinary techniques only ever applied in order to enhance the classic Sicilian ingredients. Pizzaiola – Cod smoked with pinecone, Ravioli of squid stuffed with tinniruma of cucuzza and anchovy sauce, Cuttlefish egg and Cassata ice cream are just some of the many highlights on the menu. Indeed, the signature welcome plate named Cloud of caprese is a reinvention of the classic pairing of mozzarella and tomato, and cleverly delivers a delicate, light finish perfectly depicted by its name. This winning combination of tradition and innovation is also reflected in the three tasting menus of six, seven and eight courses on offer at the restaurant. The Stairs of Sicily menu has been intelligently designed to take you on a journey of discovery (and rediscovery) of Sicily's quintessential dishes, reimagined into the restaurant's signature style. For those wanting to experiment further there is the Views the Illusion menu, which is bound to amaze even the most avant-garde of diners. For an unforgettable experience there is Views the Sea, a menu where Pino leads you through a uniquely tailored journey to the Mediterranean with dishes reminiscent of a day spent on the ocean. 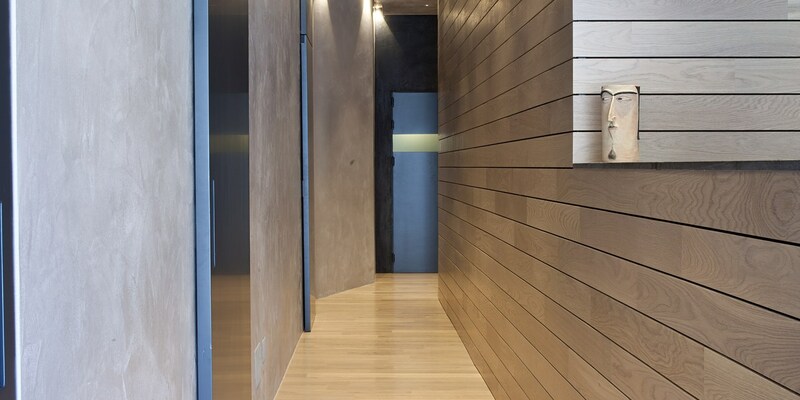 The results make the experience something that is truly unforgettable. The restaurant itself – which was completely redesigned in 2017 – consists of a single dining room dotted with tables covered in crisp, long white table cloths that add a sense of simplistic elegance to the interior, while the walls are kept clean with neutral tones. A sense of nature is brought into the restaurant with large windows looking into a kitchen garden, and plenty of wood and stone used in fittings and features. 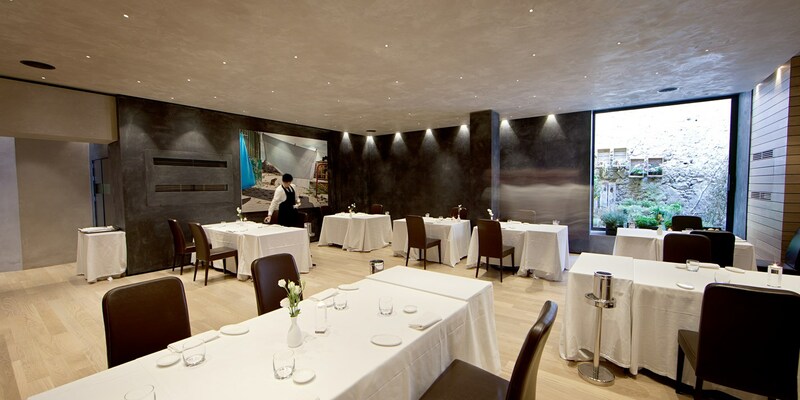 Dining at Ristorante La Madia is a truly polished, customised experience. A dedicated team of nine chefs plus head chef Pino cater for a maximum of forty people, meaning there are four chefs for every guest. Diners are also greeted personally by Pino and his wife Loredana and they are there throughout to answer any questions. The staff at the restaurant bake seven different types of bread everyday, using flavours such as figs, pistachios, almonds and onions. Pino has also opened a shop, Uovo di Seppia, to complement the restaurant. The deli offers creations and selections by the chef himself including pasta, jam, bread and wine, as well as special cookery classes. If you ask Pino Cuttaia where he is from, he will never say Italy. He is a fiercely proud Sicilian, who was born in Licata on the southwest coast of the island. However, he moved with his family to Piedmont in the north of the country when he was just twelve; something that might make a lot of people forget their roots entirely. But while Pino embraced the lifestyle and culture of northern Italy quite quickly, he always believed that one day he would return to his beloved southern island.